CarvNPack™ has been the liquid of choice among discriminating dental ceramists around the world. CarvNPak™ will not stain or affect the color of your porcelain in any way. Nor does it use glycerin, glycols or diols to perform its humectant duties. Your restoration is safe, and CarvNPaK™ burns out cleanly, with no visible traces, leaving your restoration dense, with excellent translucency. Continued refinements lead us to the perfect combination of water and polymers, which would give the dental ceramist the "just right" features of smooth manipulation, dense packing and the ability to carve tooth morphology easily with exacting results. Green strength is immediately improved. As well, your porcelain holds moisture longer, avoids overwetting, easily compensating for atmospheric and hygroscopic conditions. 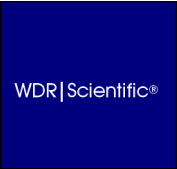 CarvNPak™ colloidal polymer was developed by WDR|Scientific in 1975. The goal was to impart improved modeling and working qualities to powdered dental ceramics. Leading industry scientists were consulted from a broad variety of trades that utilized ceramic materials. Working closely with Corning® WDR|Scientific research chemists isolated a series of complex polymers that, when mixed with water and porcelain powders, became "clay like" or "almost like plastic".